The Thelonious Monk Institute of Jazz has appointed multiple GRAMMY Award winners and NEA Jazz Masters Herbie Hancock and Wayne Shorter as distinguished professors at the Thelonious Monk Institute of #Jazz Performance at the UCLA Herb Alpert School of Music. This marks the first time these two artists have made such a major commitment to an educational institution, and the current class of students is the first to learn from them on a regular basis. The Thelonious Monk Institute of Jazz Performance is a two-year, graduate level college program that accepts one ensemble of musicians for each class. All of the students, known as Thelonious Monk Fellows, receive full scholarships as well as stipends to cover their monthly living expenses. 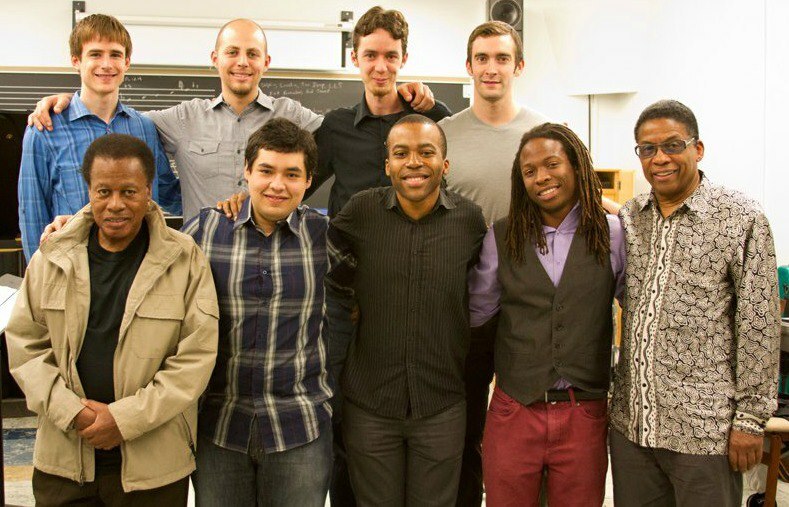 The students study individually and as a small group, receiving personal mentoring, ensemble coaching, and lectures on the jazz tradition. They are also encouraged to experiment in expanding jazz in new directions through their compositions and performances. The current class is part of a new partnership between the Monk Institute and UCLA and these students will be the first to graduate with a Masters in Jazz Performance from the UCLA Herb Alpert School of Music.